Michael Jay Wolfe, President, Michael has been involved with real estate his entire life. He and his father owned and operated multifamily buildings, personally managing all facets of the portfolio, from rent collection to repairs. With his father’s guidance, Michael learned plumbing, electricity, masonry, and how to maintain the entire physical envelope and mechanical systems from an early age. Michael joined Midboro Management in 1986, becoming partner in 1990 then purchasing the company in 1993 from retiring partner and mentor Robert G. Mahler. He is a licensed real estate, mortgage, and insurance broker; chair of The Real Estate Board of New York’s (REBNY) Residential Management Council; a Board member of the Realty Advisory Board, New York Association of Realty Managers, the Association of Cooperative and Condominium Managers. 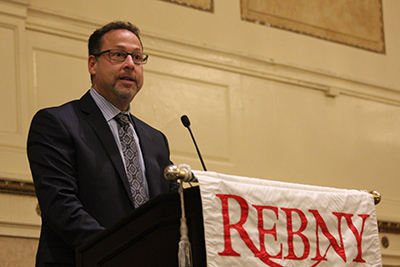 Michael is also a popular lecturer at REBNY and Council of New York Cooperatives and Condominiums forums and events. Gary Ziprin, CPA, Principal and Chief Financial Officer, Gary is a Certified Public Accountant with close to 30 years’ experience in co-op and condo financial management. As the director of Midboro’s accounting department he overseas all financial related activity in Midboro’s client buildings, including the budget process, loans and mortgages and monthly financial report preparation. Kimberly McDowell-Lois, Executive Director, Kimberly brings 25 years of experience in property management. She oversees a staff of over 70 employees and is directly involved in shaping and implementing policies and procedures which plays a key role in Midboro’s strategic planning and business development. Prior to being promoted to Executive Director, Kimberly established and grew the Transfer Department which grew from 30 buildings to 130 buildings throughout New York City. Her hard work ethic and her love for what she does has resulted in her establishing a reputation of being highly professional, courteous and a knowledgeable leader in the real estate industry. She joined Midboro after graduating with a Bachelors of Business Administration from Baruch College. Robert D. Grant, Director of Management, Robert has been involved in real estate management for 25 years. He was former director of a mid-size management firm, overseeing a portfolio that grew from 2,000 units to nearly 7,000 units and included shopping centers, mixed-use buildings, homeowner associations, co-ops, and condominiums. In addition to a real estate license, Robert is a licensed real estate insurance broker (property and casualty) and holds a NYC pool operator’s license. He has written many articles that have been published in Real Estate Weekly, The Cooperator, and Habitat Magazine, and he is frequently quoted as an industry expert in The New York Times. Sandra Lozano, Director of Compliance and Special Projects, Joined Midboro in 1996 and has been in the property management industry for over 25 years. As a director, she facilitates company-wide projects such as oil to gas conversions, Local Law 11 compliance, Con Edison’s energy savings program, as well as many others. She also coordinates the Midboro Superintendents’ Club and is responsible for informing and training building staff in new code requirements/regulations. She was awarded the Platinum Award for Crisis Management by Habitat Magazine. Sandra earned a Bachelor of Business Administration degree from New York Institute of Technology. Fatima Ismaili, Director of the Transfer Department, Fatima along with the help of her experienced team, is responsible for processing all Sale, Sublet, Refinance, Title and Estate Transfers for 130 Midboro managed properties. Midboro’s Transfer Department prides itself in providing professional, courteous and prompt service to its clients as well as the brokerage, lending and legal communities. Fatima has 20 years’ experience in the Real Estate Industry and has earned a Bachelors in Philosophy of Law from Brooklyn College. Theresa Jose, Operations Manager, with her diverse background, Theresa lends Midboro clients her expertise in property management, customer service, and conflict resolution. She has been in the real estate industry for more than 10 years. Theresa earned a Bachelors of Business Administration degree from Baruch College with a concentration in Real Estate Investments.